ARLINGTON, VA (August 6, 2015) – Hobsons, the international leader in connecting learning to life, today announced an agreement with Gallup to launch on-site and online professional development courses to help teachers identify their strengths and apply them in their teaching. The program will also help teachers to show students how to pinpoint and build upon their own unique talents to succeed in school. Now available through Hobsons, the Unlocking Educator Strengths professional development package includes an online course, Gallup’s adult Clifton StrengthsFinder® assessment and report, the book Teach with Your Strengths, and Action Planning Guides. Participants will take Gallup’s Clifton StrengthsFinder® assessment to identify their top five strengths. The flexible online learning module will then show educators how to best exercise their strengths in the classroom. In-person training with a Gallup expert is also available through Hobsons’ new offering. This package, Getting Started: Leading the Way to Strengths-based Schools, includes six hours of on-site training, training materials, and codes to administer 30 Clifton StrengthsFinder® assessments. Participants will choose one goal to focus on and complete activities to move from talent identification to strengths development and application. Hobsons has been a longtime proponent of the strengths-based culture, which focuses on developing teachers’ and students’ strengths rather than fixing their weaknesses. 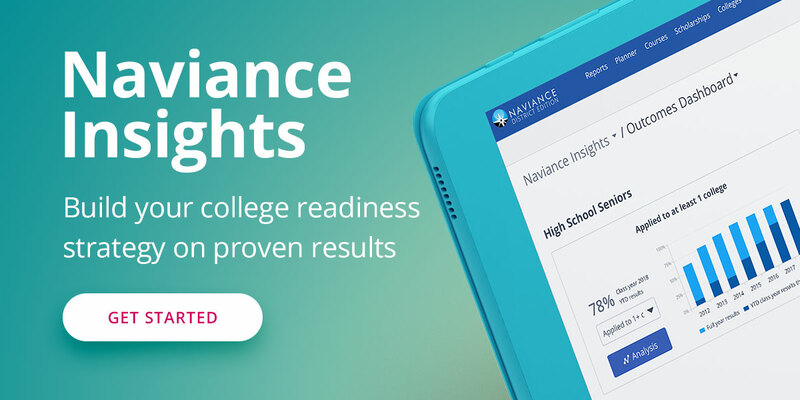 In 2012, Hobsons incorporated the Gallup StrengthsExplorer® strengths assessment into Naviance, its college and career planning solution, which is used by more than 7 million students at more than 8,500 schools and districts around the country. Hobsons is the international leader in connecting learning to life. Through our student success solutions, we help more than 12 million students around the globe identify their strengths, explore careers, create academic plans, match to best-fit educational opportunities, and finish what they start. We partner with schools, colleges, and universities to improve college and career readiness, admissions and enrollment management, and student support and advising. Education advances us, as individuals and as a society. At Hobsons, we’re dedicated to delivering products and services that help students and families make informed choices throughout a lifetime of education decisions – from grade school through grad school and beyond.